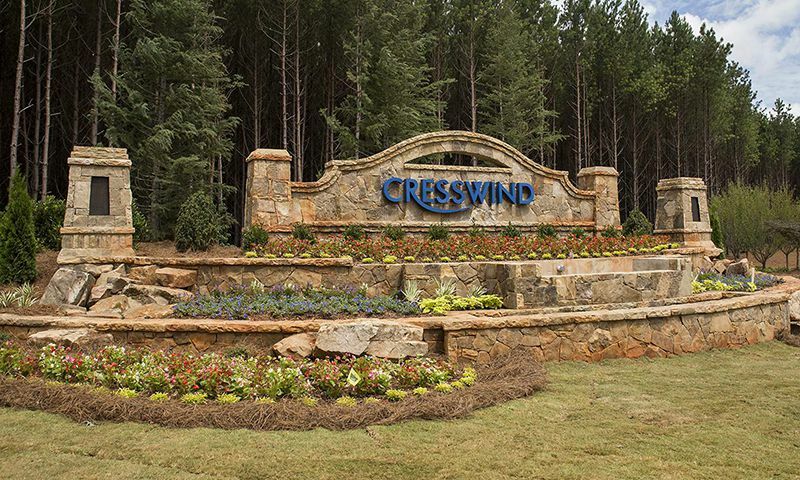 Cresswind Charlotte is a new 55+ community being developed by award-winning builder Kolter Homes in Charlotte, North Carolina. Upon completion, this active adult community will span across 370 acres of picturesque woodlands and have 850 single-family homes. Residents will be able to enjoy resort-style amenities at the spacious clubhouse as well as outdoor recreational facilities. Current plans call for an 18,000 square-foot clubhouse staffed by a full-time activities director to help ensure residents can make the most of the available amenities. Proposed amenities are to include a state-of-the-art fitness center and an indoor pool. Meeting rooms will be available for clubs as well as gathering spaces for larger events and holiday parties. A catering kitchen allows for the possibility of game-day parties and potlucks. Outdoors, active adults will have a resort-style swimming pool with patio. Tennis, pickleball, and bocce ball courts will also be located next to the clubhouse. There will be an events lawn for social gatherings and celebrations. Set on 370 acres of picturesque North Carolina woodlands, residents will be able to go for leisurely strolls along the community's miles of walking and biking trails and enjoy the scenic and natural environment. Kolter Homes broke ground on Cresswind Charlotte in 2016 and plans to offer 850 single-family homes upon completion. Homebuyers can choose from a great selection of single-level floor plans that come in different styles and sizes as well as a variety of customizable options. Occupying 370 acres of rolling North Carolina woodlands, Cresswind Charlotte is ideally situated close enough to make getting to the city center easy but far enough to avoid the daily hustle and bustle of city life. Larkhaven Golf Club sits adjacent to the community, offering active adults the chance to hit the links while staying close to home. A shopping plaza with a grocery store, pharmacy, and other shops is just a short three-mile drive and downtown Charlotte is about 15 miles from Cresswind Charlotte. Charlotte is the second-largest city in the southeastern region of the United States and is home to a number of corporate headquarters, hospitals, museums, and professional sports teams. For long distance travel, Charlotte Douglas International Airport is a major hub for both domestic and international flights. Cresswind Charlotte is sure to provide everything active adult homebuyers could want or need in Mecklenburg County, NC. Request more information today to learn about the progress of Cresswind Charlotte! Clubhouse - 18,000 Sq. Ft. - Coming Soon! There are plenty of activities available in Cresswind Charlotte. Here is a sample of some of the clubs, activities and classes offered here. The design of the community and the models offered are very good, and location next to new Novant Medical Center Mint Hill is excellent! Basic construciton of the house is very good, but unfortunately the fit & finish is not good at all. 55places.com is not affiliated with the developer(s) or homeowners association of Cresswind Charlotte. The information you submit is distributed to a 55places.com Partner Agent, who is a licensed real estate agent. The information regarding Cresswind Charlotte has not been verified or approved by the developer or homeowners association. Please verify all information prior to purchasing. 55places.com is not responsible for any errors regarding the information displayed on this website.